My goal is to publish new posts twice a week — Mondays and Thursdays. However, if you don’t see a new post on Thursday, it’s because I was too busy, so please look for a new one the following Monday. This week there will be no Thursday blog. If you’re having trouble deciding on a Christmas present for your loved one, may I suggest an antique? Antiques are unique, unlike electronics or similar. Antiques have the possibility of appreciating in value, unlike electronics. Historically, antiques were frequently given as gifts. I’ve purchased many an Icart etching from someone who inherited it from their grandparents, who received it as a wedding gift in the 1920s or 1930s. Think antiques are too expensive for Christmas gifts? Many items I have for sale are below $1000, with some below $500. Here are a few examples. Original Tiffany Studios desk set items, dating from 1900 – 1915, start at $350. Many items are priced below $1000, with the majority priced between $1000 and $2000. Rarer items will exceed $2000. Two presidents have used Tiffany Studios desk sets in the White House (Richard Nixon and George H.W. Bush). I have many desk set items listed now on my website and will be adding items frequently. If you’re looking for something, but don’t see it, please email me. philchasen@aol.com. I have many items not listed yet. Here’s the link directly to my website. Tiffany Studios desk set items for sale. Original etchings by Louis Icart make superb gifts. Prices start at $950 for unframed etchings. Custom framing is available for any etching. There’s still time. Framing takes 7-10 days, with shipping as soon as overnight, if you’re desperate. 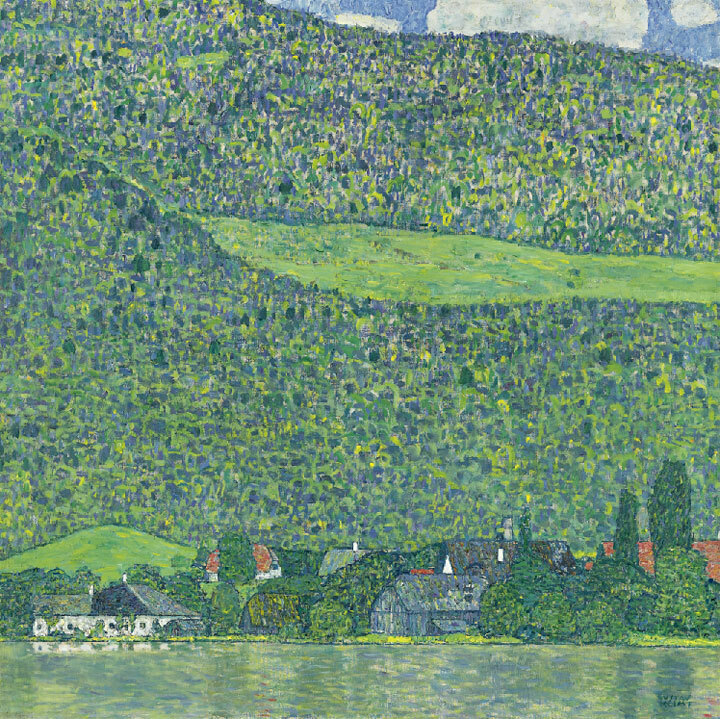 Most etchings are priced between $1000 and $2000, with rarer examples from $2000 – $15000. Here’s the link. Original Louis Icart etchings for sale. 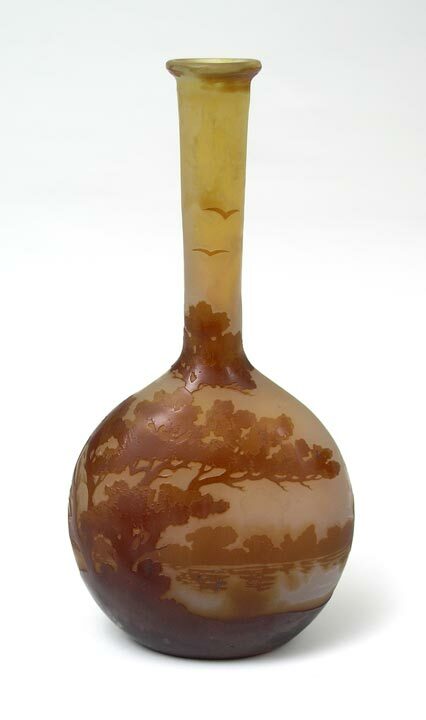 The average price for French cameo glass by Galle and Daum is slightly higher, with most prices in the $1000 – $5000 range, but some as high as $25000. 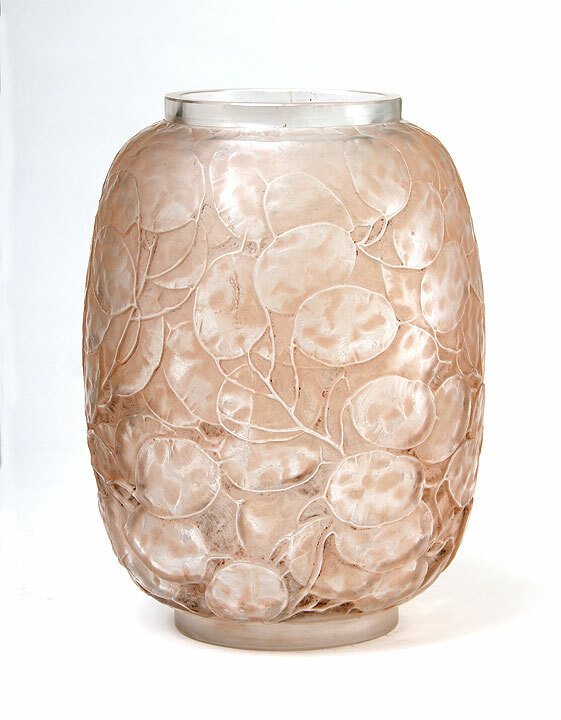 Many Galle vases are available for $500 or less, but I don’t usually offer any of them for sale, as the quality is lower than I require. If an item isn’t good enough, it does not pass through my filter. That means you only have to like what you see. I’ve done all the vetting for you. You don’t ever have to worry about quality or authenticity. Here’s the link. French cameo glass for sale. Recently I’ve had less time to write about the interesting things happening in the antiques world, because I haven’t had a show in a few weeks. When there’s no one in my booth at a show, I keep busy by writing blog posts. My goal is to publish new posts twice a week — Mondays and Thursdays. However, if you don’t see a new post on Thursday, it’s because I was too busy, so please look for a new one the following Monday. This post was inspired by Andy Rooney. Think of him while you read it. I write my blog using WordPress. It’s a handy tool for the job. One of the features of WordPress is the spam filter. It’s quite good, as it filters out about 75 spam posts a day. Occasionally one will get through and post to the site. I then have to go through the process of trashing the comment, which deletes it. The humor in them is surely lost on the senders. Here are a couple of the latest for your enjoyment and amusement. Thanks for the good writeup. It in fact used to be a leisure account it. Glance advanced to far brought agreeable from you! By the way, how could we keep in touch? How could I not keep in touch with such a gifted writer? From the URL, you can see that it possibly originated in Romania, except for the fact that the author’s name is in Cyrillic, so maybe it really came from Russia. I assume the original was put into a computer translator and presto! — out popped the beauty above! Usually you can tell what the original intent was, but not this one. What really baffles me is why send it in the first place?? Oh, I guess they wanted someone to visit their URL for some nefarious reason, but what were the odds of that? I beloved up to you’ll receive performed proper here. The sketch is tasteful, your authored subject matter stylish. nevertheless, you command get bought an nervousness over that you wish be handing over the following. unwell for sure come more formerly again as precisely the same nearly a lot frequently within case you protect this hike. This one appears to have originated in a Spanish-speaking country, even though the email address does not use an Hispanic name. What the heck were they trying to say? I think they borrowed the translator from the guys in Romania. I could list many, but I’ve chosen only the best. Here’s one last one. I cherished as much as you’ll obtain performed right here. The caricature is attractive, your authored subject matter stylish. nevertheless, you command get got an edginess over that you would like be turning in the following. sick without a doubt come further before again as exactly the same nearly very incessantly inside case you shield this hike. Don’t spammers have anything better to do? They surely hope to get something out of it, or why do it in the first place? I don’t think it’s being done by a bunch of high school kids in Russia, who have nothing better to do. Here’s hoping their computers get a virus and melt down. Have a Happy Thanksgiving, my favorite holiday of the year! My goal is to publish new posts twice a week — Mondays and Thursdays. However, if you don’t see a new post on Thursday, it’s because I was too busy, so please look for a new one the following Monday. I’ve already written this Thursday’s blog and it’s a good one. It was a little chilly at 9:30 AM on Saturday morning, so most of the line was indoors. 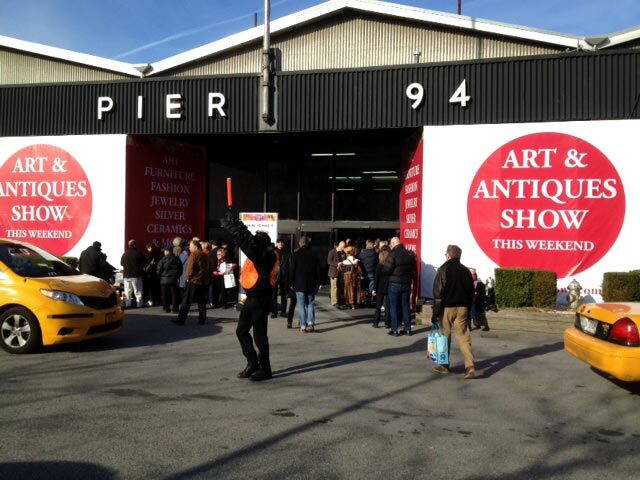 The NYC Pier Antiques Show was held this past weekend, November 19-20, 2011. Most of the dealers I spoke to were either pleased or at least satisfied with their results. Didn’t hear any complaints, nor did I hear any raves. Sounds like pretty good results to me, especially after some of the non-stellar reports I heard from dealers at other recent shows. Personally, my show was good. 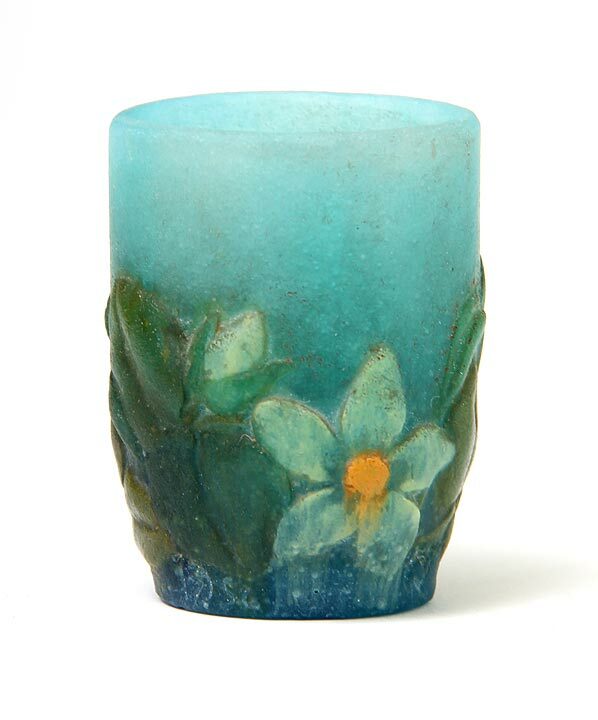 Interest and sales were greatest in Daum Nancy glass and Tiffany Studios glass and objects. 99% of my sales were from objects in the showcases. If only I had known, I would have left all the rest home. 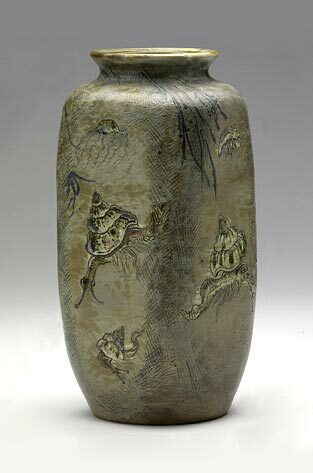 But that’s the nature of shows — at one show vases are selling, at another lamps, and at another art. It’s a good thing I learned the importance of diversification years ago. Attendance was good on Saturday, with a fairly constant flow of traffic. Sunday traffic was lighter, with very few people arriving early. They never do at any show anywhere on a Sunday. Opening one hour later on Sunday would be kind to the dealers and staff and have no material impact on the sale of tickets or merchandise. (Are you listening, Jeanne and Irene? I know you’re reading this.) Sunday’s weather in NYC was outstanding — sunny and 63°, and may be part of the reason attendance was lighter than usual. This was my last show of 2011. 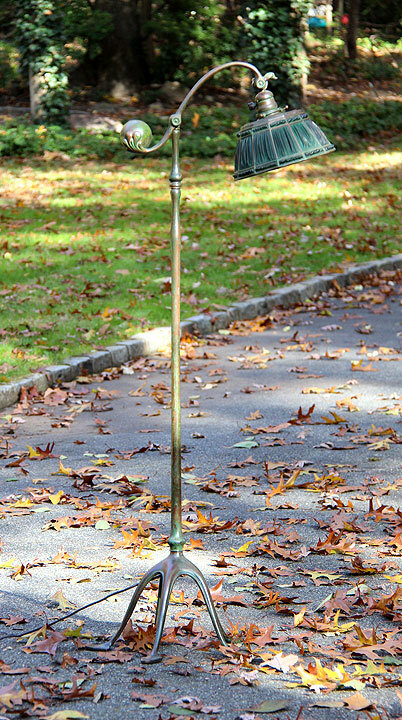 Looking ahead, we will exhibit at the Birchwood Manor Antiques Show in Whippany, NJ, on the weekend of January 7th and 8th, 2012. From there, we travel to Florida for a series of shows starting in West Palm Beach at the Crowne Plaza Hotel. It will be a high quality boutique show, run by Rosemary Krieger, the promoter of Dolphin Promotions. She recently purchased the show from the previous promoters. It will be my first time at the show and hopefully an auspicious beginning to the Florida circuit. In the meantime, I am very much in business. I will update my website as often as I can with new purchases. Antiques make great Christmas gifts, so I will purposely list many items that are reasonably priced and ready for immediate shipping, so you can receive your gifts in time for the holidays. Call or write to me if you wish to purchase, sell, or trade any items. 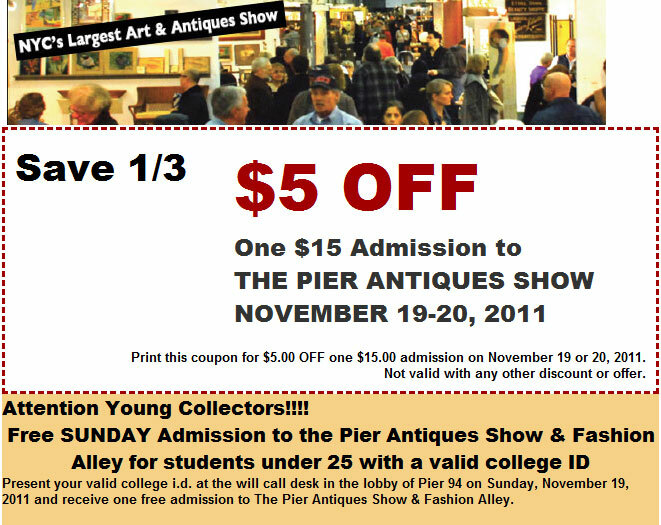 The NYC Pier Antiques Show opens this Saturday, November 19, 2011, at 10 AM and continues until Sunday, November 20, 2011, at 6 PM. It’s a short show, and intense as a result. The crowds are usually deep and the action fast. If people don’t make their purchase decisions quickly, they risk losing to someone else, and often do. The selection of items for sale is so eclectic, there’s something for everyone. Besides high end glass and lamps (me), there’s everything else — silver, jewelry, Asian, ceramics, art, clothing (yes, they have Fashion Alley), famous autographs (15 dealers) and more miscellaneous than you can imagine. Many people come with their decorators because the selections are so varied and interesting that they need professional help. My booth is near the entrance, so I see all of the many packages and purchases as they leave the show. I’m bringing some truly fine items that I’ve recently purchased, in addition to the usual strong assortment of Tiffany Studios lamps and glass and French cameo glass. I just bought a very nice, large Andre Gisson oil painting that hung in a home for many years. It was purchased by the grandfather of the present owner. This is a show that is worth traveling to from any distance. I’ve said it before, but people travel from Europe and Japan, as well as from all over the US. It’s the excuse you’ve been waiting for to come to New York City. If you want to see a great antique show and enjoy New York City at the same time, this is the weekend. The weather has been great in New York recently and should continue until the weekend. Broadway has great shows running. Museums and galleries have superb exhibitions going on right now. The restaurant choices in the city are mind boggling. So what are you waiting for? Make your plans right now. Stop into my booth and let me know you came to New York because you read my blog. What recession? There’s no recession in the art and antiques market. Recently I’ve had more time to write about the interesting things happening in the antiques world. When there’s no one in my booth at a show, I keep busy by writing blog posts. So for the next few weeks, I will publish new posts twice a week — Mondays and Thursdays. However, if you don’t see a new post on Thursday, it’s because I was too busy, so please look for a new one the following Monday. If you just listen to the news, you would think that the sky has fallen. The housing market is bad in many parts of the country, with many homeowners underwater. Unemployment is currently 9%. The Occupy Wall Street movement has spread. The financial troubles in Greece, Italy and the rest of Europe make stock market investors shiver. But I’m looking out of my window and see that not only has the sky not fallen, but the sun is shining. There appear to be some good anecdotal economic signals. Sales of luxury cars are improving. Reservations are difficult to get at top restaurants. 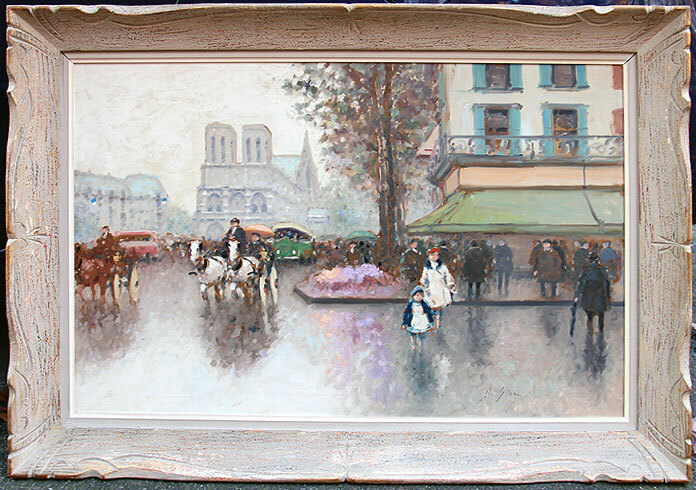 The antiques business is solid, with new auction records being set for art and antiques. 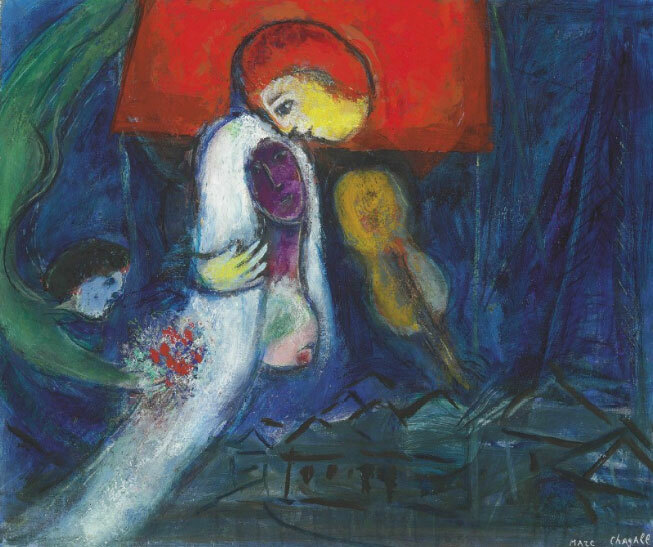 Sotheby’s New York Impressionist & Modern Art sale realized a strong $199,804,500 just a few days ago. Here’s my take on what’s going on– no deep analysis, just my observations. There appears to be a dichotomy between the haves and the have-nots — between two dimensions that exist together, but do not interact. On the one side are all the people in the news who are in trouble. They’re worried about the next mortgage payment, not about purchasing antiques. On the other side is a quiet group, not in the news, of successful entrepreneurs, business people and professionals. They aren’t suffering, rather they’re prospering. They have disposable income and are the ones who are actively involved in supporting the art and antiques markets — and they’re not just Americans. Chinese buyers are paying extraordinary prices to repatriate their treasures and are dabbling in other areas. Russian buyers are still active, but less so than a few years ago. Brazilian buyers are starting to flex their economic muscles. 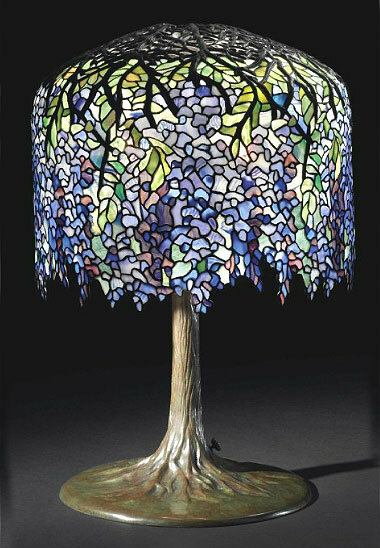 The Tiffany Studios glass and lamp market is solid. So is the French cameo glass market. That’s not to say that all areas are doing well. For instance, in markets that I have personal knowledge, art glass shades, Steuben glass, Rookwood pottery, Louis Icart etchings and some others are soft. In the early 1990s, the severe recession in the antiques market caused prices to drop precipitously. In some cases, prices dropped over 50% from their peaks (but recovered smartly in the second half of the decade). Nowadays, prices are increasing in many areas. Some collectors are investing, hoping that fine antiques will be a good addition to a diversified portfolio. I’m frequently asked about investing in antiques, but since I’m not good at predicting, I try to restrict my advice to factual information about quality, rarity and condition. 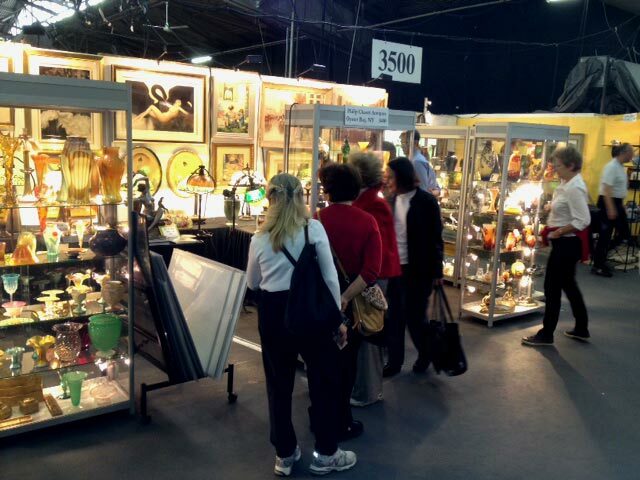 The Pier Antiques Show will be held on the weekend of November 19-20. Sometimes it helps me gauge the health of the market. December is also a big month for auctions. Every major (and minor) auction house holds a 20th Century sale. Those results should be telling. For me, the best predictor of the year to come are the results of the big Miami Beach Convention Center Antiques Show in early February. Buyers fly in from all over the world, so it’s possible to take the pulse of the international market. Here’s hoping good business will continue.